(CBS News) A verdict has been reached in the ongoing case of Colorado man Wayne Watson, who sued the manufacturer and retailers of microwave buttered popcorn that caused him to develop "popcorn lung" after eating two bags daily for 10 years. Jurors awarded Watson $7 million in damages; the verdict came after a day and half of deliberations in Denver Federal Court, reports CBS Denver. Watson, 59, was diagnosed with respiratory problems in 2007 after years of inhaling the smell of artificial butter. The jury found the manufacturer of the popcorn, Gilster-Mary Lee Corp., 80 percent at fault, and the parent companies of the King Soopers' supermarket where he purchased the popcorn - Dillon Foods and Kroger - divided the other 20 percent. The supermarket chain said it would appeal. Lawyers from the King Soopers' supermarket chain told CBS Denver, that Watson's attorneys "might have well have warned that there are aliens popping out of the bags because there's just as much support for that." Gilster-Mary Lee said in a statement after the verdict, "We are certainly very disappointed by the decision of the jury in this case in light of the very clear evidence which was presented, including the millions of consumers who have safely used and enjoyed microwave popcorn since it was introduced. We are currently evaluating our next steps in this matter and will assert all rights available to us under the law." Watson previously settled claims against the flavor developer FONA International Inc., formerly Flavors of North America Inc., the Associated Press reported. "Popcorn lung" refers to a potentially fatal respiratory disease that mostly develops in workers at flavoring plants who inhale diacetyl, the chemical that provides the butter flavoring and smell. In most cases, a condition called constrictive bronchiolitis obliterans was found, in which the smallest airways of the lung become scarred and constricted, blocking off movement of air. Symptoms include cough, wheezing, worsening shortness of breath on exertion - those similar to asthma, chronic bronchitis or pneumonia. Watson had told the CBS Early Show in 2007 he first noticed lung problems during church choir practice when he couldn't sustain notes like he used to. His doctor, Dr. Cecile Rose, a lung specialist at the National Jewish Medical and Research Center in Denver, was initially unsure what was causing his ailment but knew he had to be inhaling something. When she asked him if he had been around a lot of popcorn, "his jaw dropped and he asked me how I would possibly know that about him," Rose told the Early Show at the time. Prior to the lawsuit, Rose wrote a letter to federal agencies warning that an unidentified person may have developed the first case of the disease outside of factory workers. "We cannot be sure that this patient's exposure to butter-flavored microwave popcorn from daily heavy preparation has caused his lung disease," cautioned Rose in the 2007 letter. "However, we have no other plausible explanation." 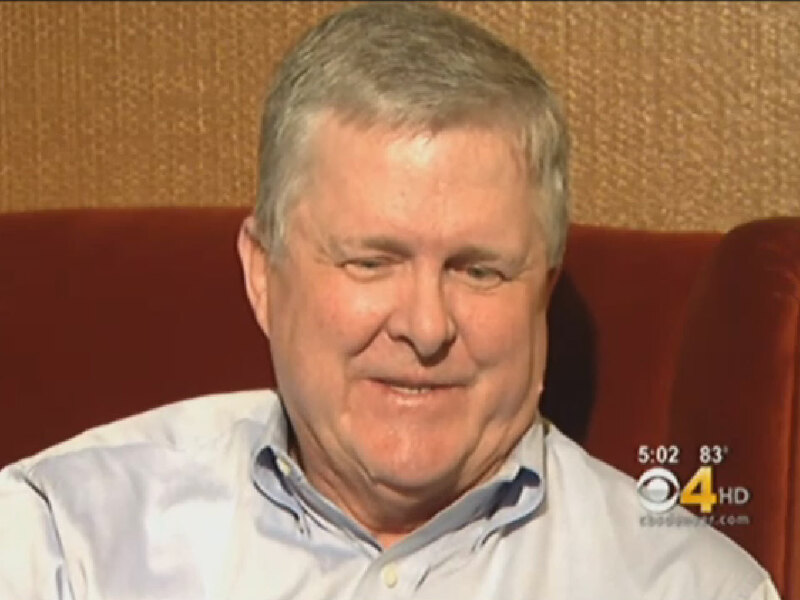 Watson told CBS Denver that he believed the key to winning the case was Rose's testimony. "I haven't eaten a bag of popcorn since 2007. I hardly eat popcorn any more. Occasionally we'll pop some on the stove the old fashioned way," said Watson. In 2004, a jury awarded 32-year-old Eric Peoples, a worker at the Gilster-Mary Lee plant in Jasper, Mo., $20 million for lung damage he sustained during the manufacturing process of buttered popcorn. At the time, 29 other workers had cases pending. A recent study suggested diacetyl was linked to plaque buildup that's indicative of Alzheimer's, but a cause-and-effect relationship between the chemical and disease was not found. The National Institute for Occupational Safety and Health has more on lung disease linked to artificial flavorings.